Brown Creeper at base of tree. 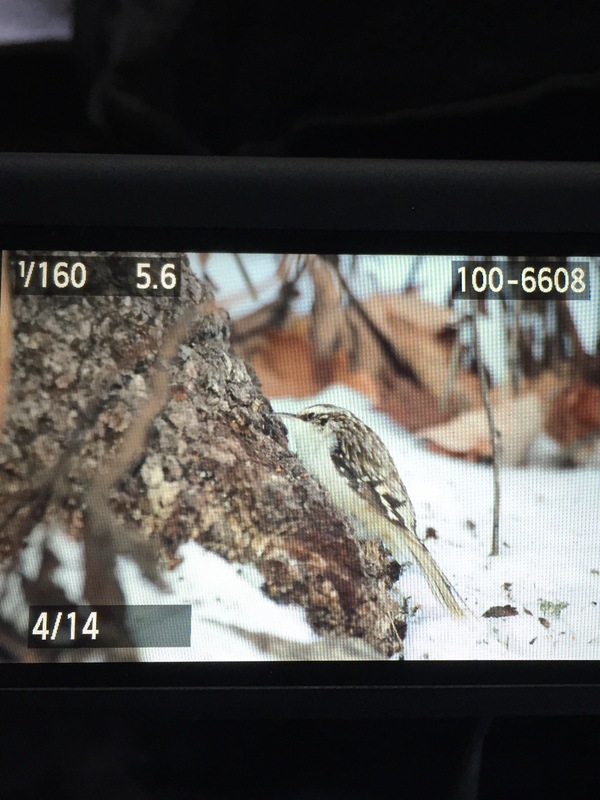 At one point today a Yellow-bellied Sapsucker was on the suet feeder and a Brown Creeper crept along the base of an adjacent tree. 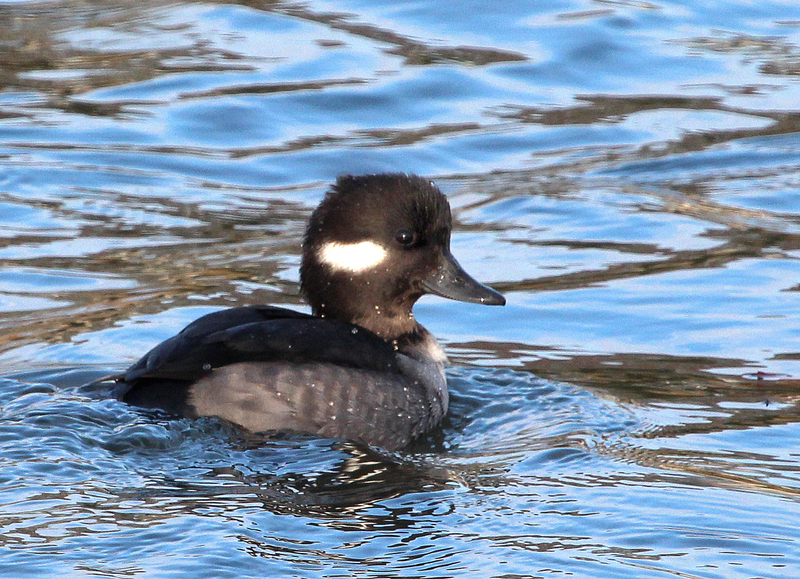 Neither are earth-shattering sightings, but both are rather unusual in my part of New England at Merganser Lake. 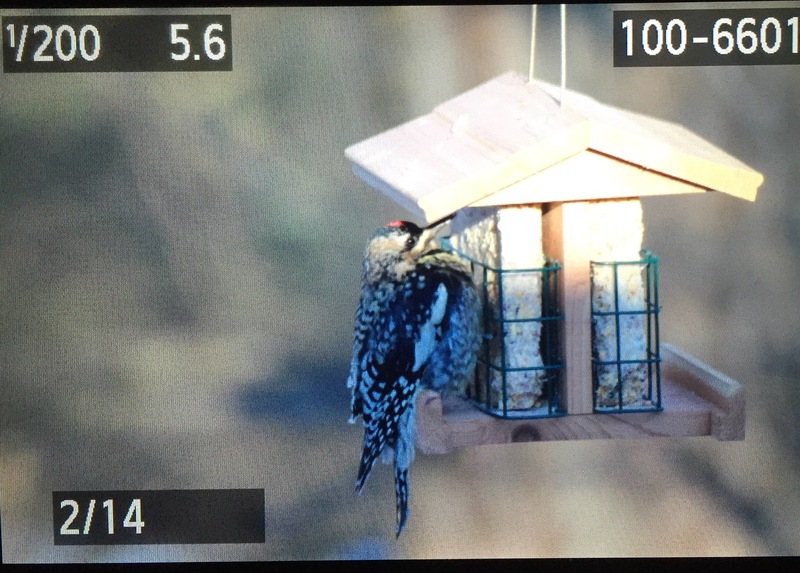 In fact, it was the first time I had ever seen a sapsucker at one of my feeders. 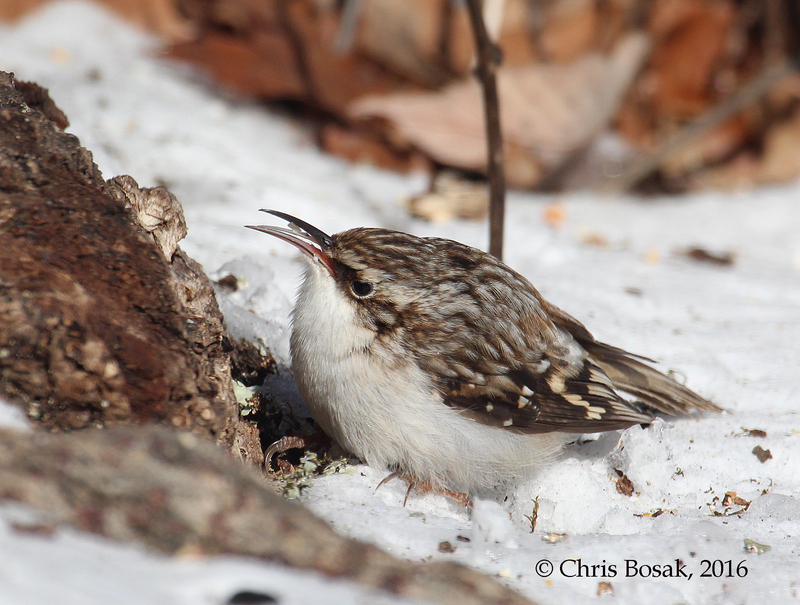 I even managed to get a decent photograph of the Brown Creeper, a species that can be tricky to shoot. The photos accompanying this post, admittedly, don’t look that great. They are merely photos I took with my iPhone of the display screen of my camera. When I have more time I’ll get to a computer and download the photos, but for now the mediocre iPhone will have to do. Thanks for your patience. I wanted to post this as soon as possible as this is Great Backyard Bird Count weekend. It runs through Monday, so maybe this posting will inspire others to participate. For more information, click here. Yellow-bellied Sapsucker on suet feeder. In southern New England it’s about 11 degrees now. Hey, at least the sun is out.